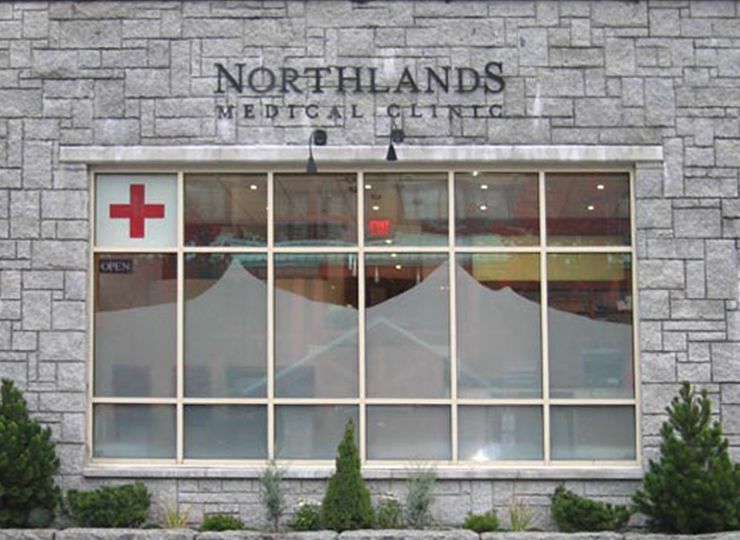 Street view of medical clinic in Whistler Village. 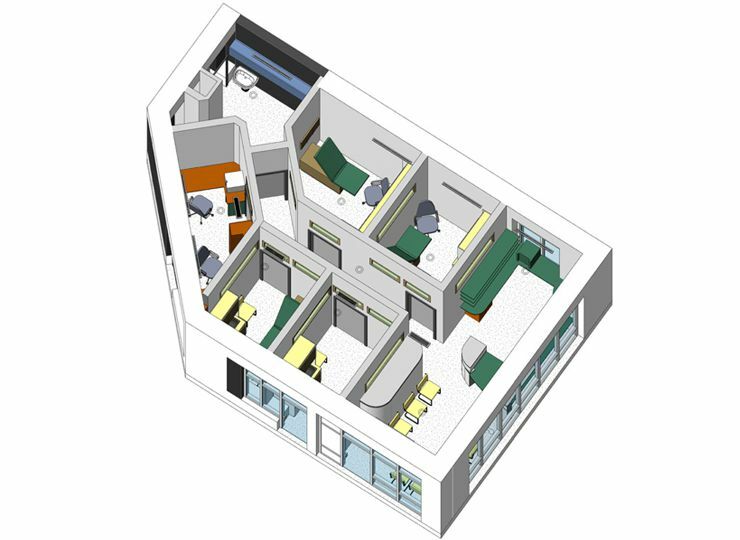 3D CAD model of clinic Reception desk beside waiting areaHallway from both ends, showing reception at one end and clerestory windows into examining rooms from the opposite directionExamining room details...wood was used throughout to provide comfort and a non-institutional look. 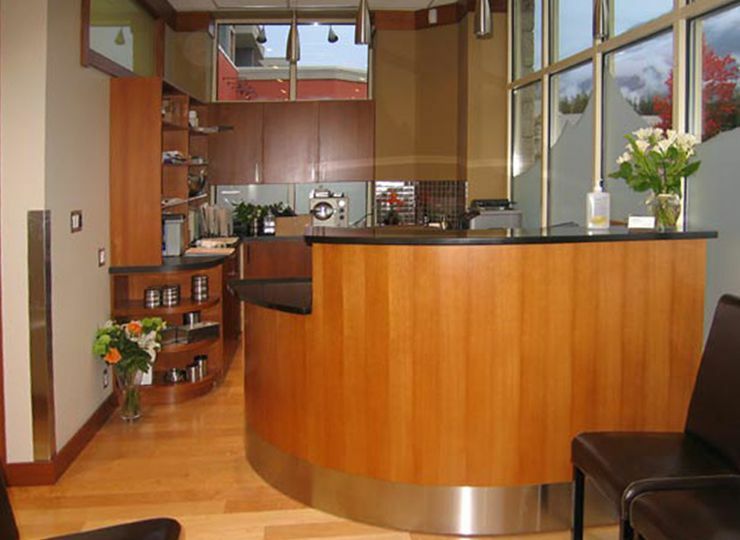 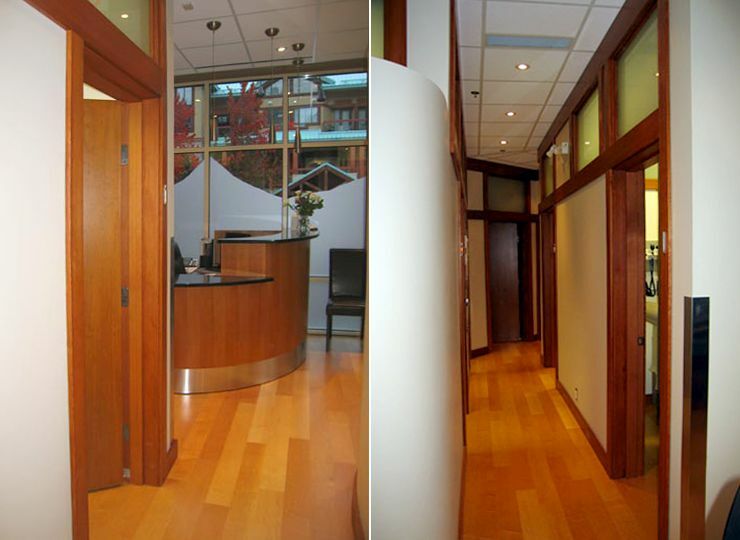 One of the first purpose-built private medical clinics in Whistler, BC. 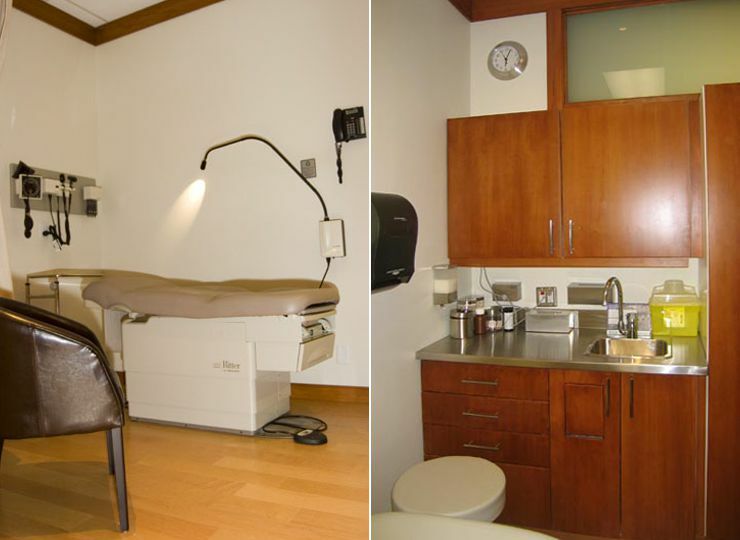 The use of internal clerestory windows throughout preserved privacy in the examining rooms and provided much appreciated second hand daylight in all rooms.